Tesla XT Kit With Tallica Mini Tank is compatible with three types of battery to bring convenience. Liquid capacity is 4ml. The kit is really practical. Just take it. Tesla XT Kit With Tallica Mini Tank, which comes with 4ml liquid capacity to meet different needs, adopts adjustable airflow system to deliver perfect cloud and pure flavor. In addition, it is compatible with three types of battery that include 18650, 20700 and 21700. 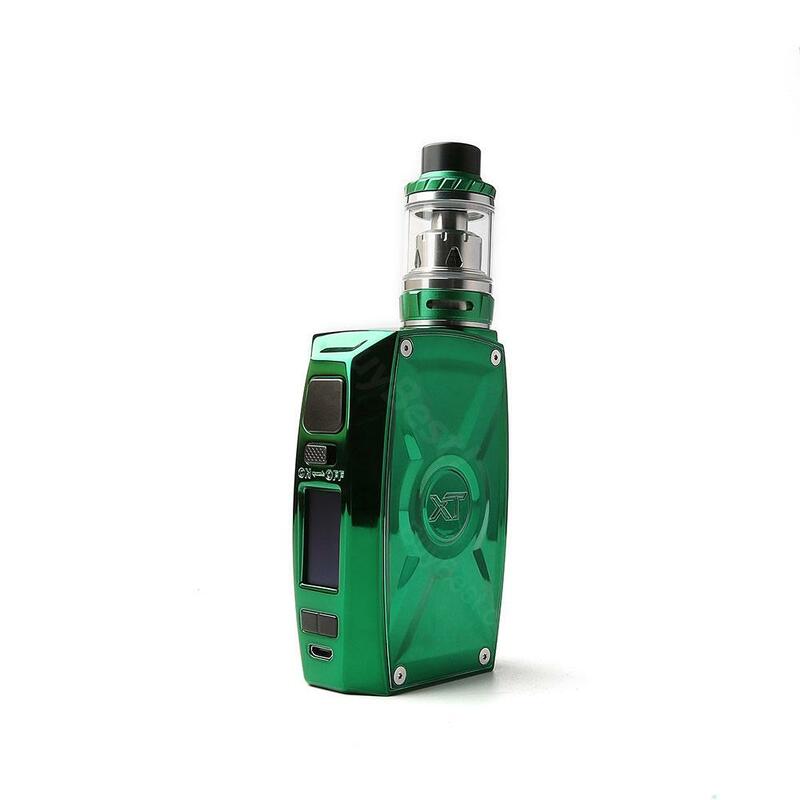 Powered by dual batteries, it can fire up to 220W. Besides, it supports different output modes that include KA, TC-SS316, TC-Ni200, TC-Ti and TCR mode to give you different vaping experience.Just take it. • Three-month warranty for XT Mod and Tallica Mini Tank. • Quick link: Tesla XT Mod, Tallica Mini Tank. Nice kit with usual Tesla steampunk design elements. Not much smaller then Tesla XT. Simple but clear, easy to read screen with powerful chip. 220W Tesla XT Kit With Tallica Mini Tank Teslacigs XT 220W Kit is paired by XT 200w Box Mod and Tallica Mini Tank. The Tallica Mini Tank can contain 4ml e-liquid wit top fill system and bottom airflow system.